Costa Mesa Wing Chun is a Martial Arts School offering Wing Chun classes in Costa Mesa, CA for kids, men and women. Costa Mesa Wing Chun is Located at 2419 Minuteman Way. View a Location Map, get Directions, Contact Costa Mesa Wing Chun or view program details below. 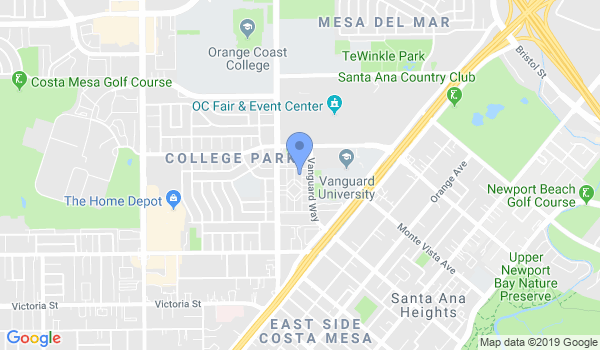 If you are a student at this school, help your local Martial Arts Community by writing a Review of Costa Mesa Wing Chun. You can also help your school by sharing it on Facebook, Twitter, Google+, Pinterest etc. At Costa Mesa Wing Chun we teach Gary Lam Wing Chun, offering the complete curriculum in Wing Chun Kung-Fu. Sifu Gary Lam was a senior student of Sigung Wong Shun Leung and has taught Wing Chun for over 30 years. Wing Chun is a style of Chinese martial art developed over hundreds of years, with its roots in the Shaolin Temple. Wing Chun is designed to be devastatingly effective as a complete self defense system, and yet it's safe and healthy to practice. Wing Chun doesn't pit strength against strength, but rather employs its unique understanding of body mechanics, angles and sensitivity to overcome aggression. Wing Chun does not employ high kicks, acrobatic techniques or extensive movements, so body flexibility and stamina are not core requirements. Many of the exercises are scientific in approach, and training is carried out in a friendly atmosphere of co-operation as opposed to one of aggressive competition. This allows students to develop freely and at their own pace. It's possible for a complete novice to become competent within one year, although, as with any true art, practical ability is only the beginning: There's always room for deeper exploration, further development and personal interpretation. Wing Chun gained international publicity during the rise and fame of the late Bruce Lee in the early 1970s. Bruce Lee had studied Wing Chun from the late grandmaster, Yip Man while living in Hong Kong. More recently, internationally reknown action heroin Donnie Yen played the role of Ip Man in the Hong Kong movie "Ip Man". Wing Chun is practiced around the world, and practiced widely in Hong Kong and Foshan, China. Would you like more information on hours, classes and programs available at Costa Mesa Wing Chun? Please contact the school with your questions. Update the details, Write a Review or Report Error of Costa Mesa Wing Chun. View all Dojo in Costa Mesa or in Zip code 92626.